Dog obedience training can transform a pet into an even better canine companion. There are several different ways to approach this type of training. Learn a little about each of them. When it comes to basic obedience training, there are about as many training methods as there are trainers. Most methods work as long as they are used consistently and adequate reinforcement is provided to help the dog to understand the desired behavior. Positive reinforcement is one very popular phrase in the dog training circuit. This method of training gives the dog a positive reinforcement when a desired behavior is offered, such as verbal praise, a treat or any other reward. Harsh corrections are not used, and undesirable behaviors are ignored while favorable behaviors are praised and rewarded. This method is highly effective and most dogs respond well to it. Positive reinforcement is particularly useful for soft dogs that will shut down if they are given harsh corrections. Clicker dog training is another popular training model. The clicker training method involves the use of a small device that emits a clicking sound when you press a button. These devices are usually fairly small and can fit on a keychain. This makes them portable and makes training with a clicker easy in any location. The first step in the clicker training method is known as loading the clicker. This step takes place before any dog obedience training begins, and it serves the purpose of associating the sound of the clicker with something good. Most people use a click and treat pattern to load the clicker. Start out by clicking the clicker and immediately offering the dog a treat. Repeat this five times, offering a treat immediately after you click. Now put the clicker away and give the dog a break. You can repeat the click and treat pattern a few times a day for about three days. By then, the dog will have come to understand the sound of the clicker means he has done something good, and you can begin training your dog with the clicker. If you have properly loaded the clicker, the sound of the clicker will serve as a reward for the dog. You can start by offering commands and using lures to achieve the desired behavior. When the dog offers the desired behavior, immediately click to let him know you are happy with what he has done, and you may also offer a treat as an additional reward for the desired behavior. Positive reinforcement and clicker training are both methods that do not involve corrections in the training. Although these methods are popular, some people prefer correction-based obedience training methods. These types of methods work opposite to reward-based methods in that they utilize a correction for undesirable behaviors. A dog training shock collar is one such example of a correction type training system. 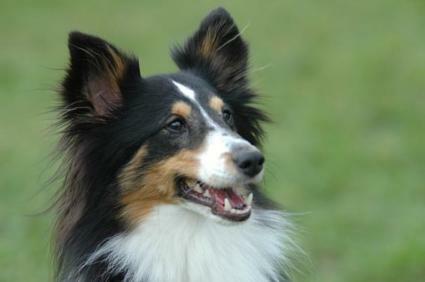 The dog wears a receiver on his collar, and the trainer carries a transmitter that enables them to emit a shock when the dog commits an undesirable behavior. The theory behind this training method is the dog will come to associate the negative behavior with the shock and will, therefore, cease performing the undesirable behavior. Other correction methods besides a shock collar can also be used to curb undesirable behavior. Some examples include shaking a can full of coins when the dog does something undesirable, using a squirt bottle filled with diluted vinegar to discourage bad behavior or giving a verbal reprimand such as "Ahh" when the undesirable behavior occurs. A correction-based method may be effective for a dog with aggression issues where the undesirable behavior needs to be stopped immediately. However, use of one of these methods/products can also make the problem worse in an unstable dog, so you should check with your vet before you proceed. Whichever obedience training method or combination of methods you choose, the most important part of the training is maintaining consistency. Any method will fail if it is not applied consistently. If your dog is allowed to disobey and perform undesirable behaviors in certain situations, he can easily become confused and not understand why these behaviors are sometimes permissible and sometimes not allowed. Also, dogs require repetition to learn, so a lot of practice is required before your dog is well-versed in obedience. Some dogs may learn a behavior in a single session, but the behavior must be reinforced to ensure the dog fully understands what is expected of him. Other dogs may not be as quick to learn. Repetition and consistency will help them to conquer their training obstacles. If you enjoy obedience training and have a particularly responsive dog that excels in obedience, participating in obedience trials might be an excellent way to enjoy quality time with your pet. These trials require your dog to heel precisely through a pre-determined pattern, obey your commands exactly and also perform a number of sit and stay exercises. These competitions usually have very strict standards, but any dog with a willingness to please can excel in the competitive obedience ring with proper training that is performed consistently.